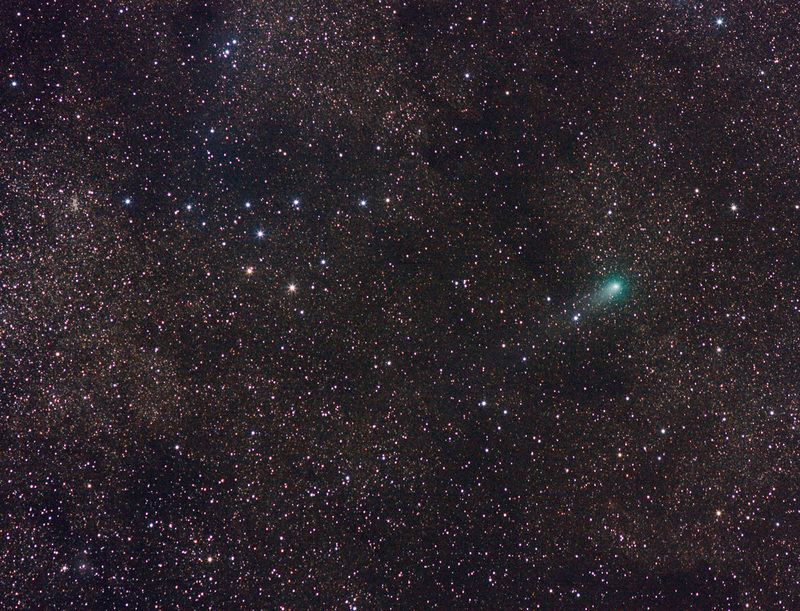 Comet c/2009 P1 Garradd speeds away from the Coat Hanger asterism on September 4th 2011. This comet is not visible to the naked eye but will brighten more as it gets closer to us next year. This was my second try at the comet as it passed through the milkyway. It turned out much better, helps when a cold front moves over the area with crisp clear skies. This composition of seven short exposures was taken from my backyard observatory in Douglas County. Notes 53°F, 90%rh,Good transparancy and seeing. Calibrated and combined in ImagesPlus. Additional adjustments in Photoshop CS2.